Following on from the success of our Eco Wedge and Eco Wedge Professional comes our remote controlled Eco Wedge Elite model which offers unprecedented power and versatility from a compact self-contained solar light. 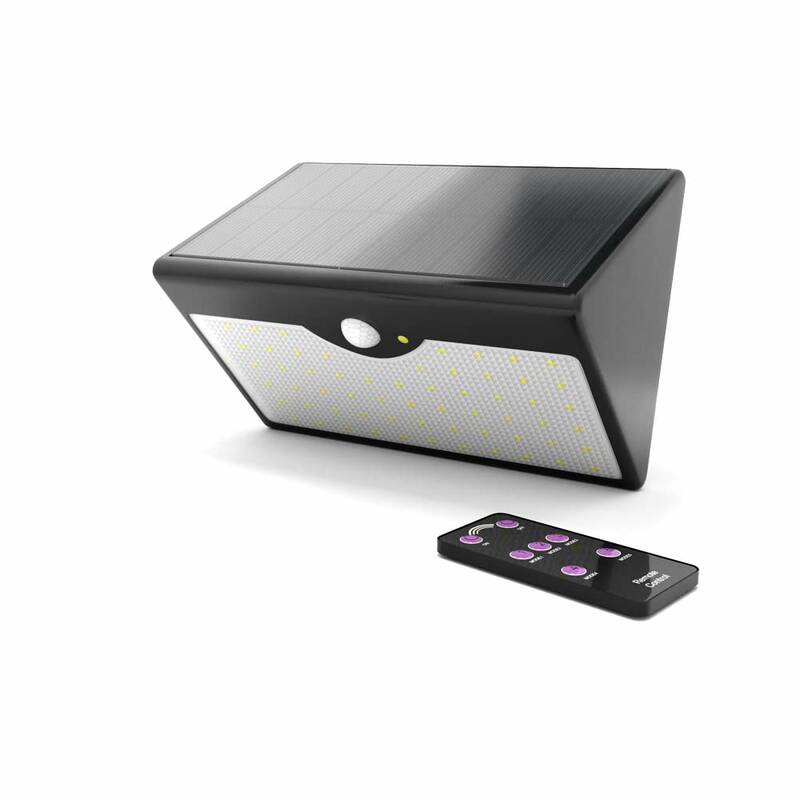 This 60 SMD high powered solar light packs a powerful 1000 lumen punch that is backed up by a high density solar panel and 10m detection range. Once motion is detected, this light can activate up to 500 times a night. Five lighting modes - use your light the way you want to. The lights are very powerful. 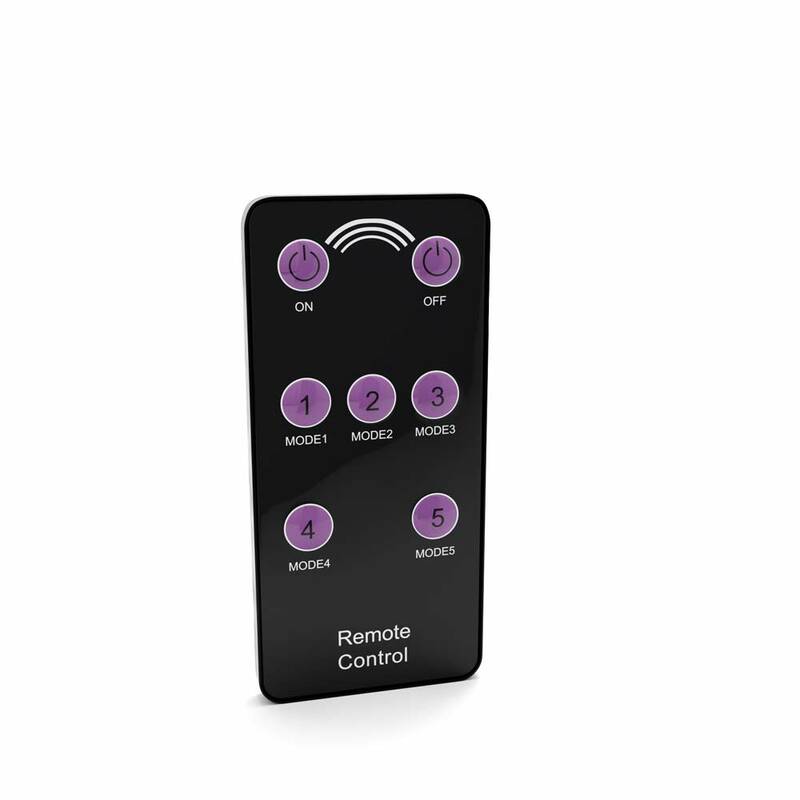 The sensor is very sensitive, the remote control is excellent. It would be useful to have a longer period for the lights to shine, more than 15 seconds. It would also be handy if the waterproofing guarantee applied for different orientations. On the whole I am very pleased with it. The light levels are very good, and having a visual display showing which mode you have set it is invaluable. Very easy to fit - no wiring - no outside electrical socket. Only drawback is the 15 second limit of light. I know its to preserve the battery but an adjustable time would be a help. Well-packaged for despatch and arrived when expected. Left it outside to charge for a couple of days before installing in a spot which acts in sequence with another Wedge Elite I bought a short time ago. The Elite gives off a powerful light which is very helpful to the householder and would be rather alarming to any casual intruder at the back of my house! Brilliant product. Very bright light. Easy to install and use. Would highly recommend. Great product., lights the patio outside the back door very well. Saved the problem of having to run new cables through the garage for a wired in light.. Fast delivery. Unlike its siblings, the Eco Wedge Elite can also be operated on demand via remote control and can provide constant light from dusk till dawn. When in PIR mode this wireless solar motion light is fully automatic and will illuminate for 15 seconds each time it detects motion. 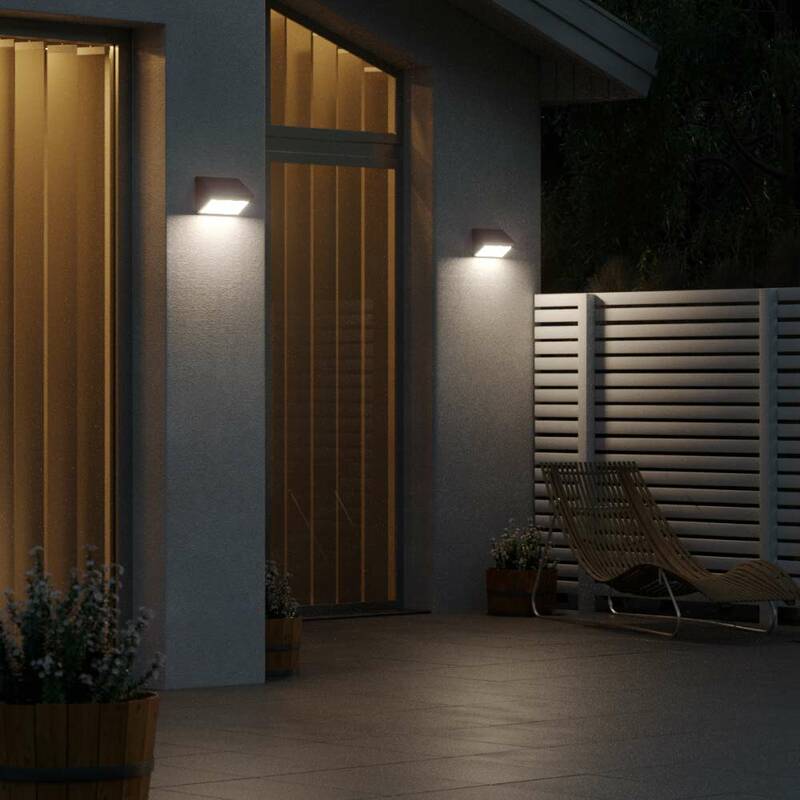 The Eco Wedge Elite is ideal for lighting doorways, alleyways, entrances and pathways. The Eco Wedge Elite is IP65 rated for superior waterproofing. A low light is emitted after dusk. When motion is detected the lamp activates with full brightness and reverts to low light approx 15 seconds after motion stops. When motion is detected after dusk the lamp activates at full brightness and turns off approx 15 seconds after motion stops. Recommended for Winter use or if the light is installed in a substandard location. After dusk the lamp illuminates at medium brightness and turns off after it runs out of charge or 10 hours, whatever comes sooner. After dusk the lamp illuminates at medium brightness. It switches to Mode 2 after the battery level drops below 60%. If the battery level is below 60% when selecting Mode 4, then the lamp will automatically switch to Mode 2. The lamp will illuminate at full brightness for 1 hour, even if it is still daylight. What is the ideal height for the lights to be installed? It depends on how much light spread you need and the detection area needed. Generally, security lights are installed around 1.8-2.5m off the ground. hi, can you confirm this doesnâ€™t come with a separate solar panel? Also, do these lights charging capacity perform better when east or west facing (assuming no obstacles, shade or trees)? south facing installation is not an option for me, too close to the neighbourâ€™s house. The solar panel is built into to the wedge at the top. The Elite comes with 5 modes, in winter months we would suggest using the PIR only mode. For East vs West we would suggest test in each location before fully installing. It's amazing how much just 1 meter difference in location can make to how much charge is received. What is the angle of detection the our will pick up. 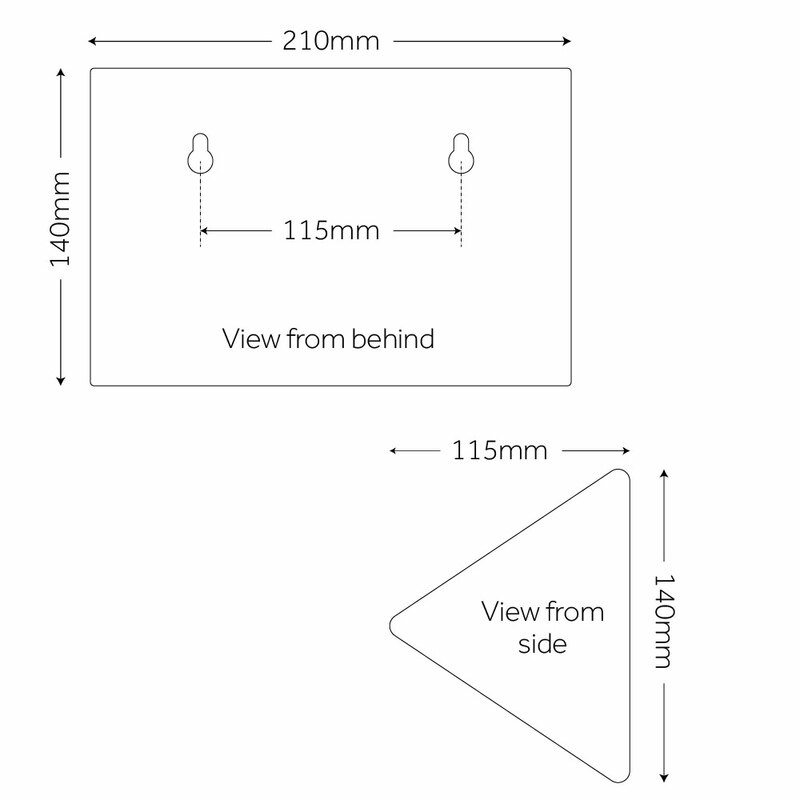 My garden is approx 5m wide and 10m long it has been suggested I place this light in the middle of an external walk to cover the garden width for security purposes. Approximately 120 degrees and 10m in distance.